Wholesale COFFEE SUPPLIES Companies that may offer coffee mixes, soup mixes, sugar, sugar substitute, flavorings, stirrers, straws, creamers, napkins, paper cups and more! Please contact these coffee supply companies direct to find out more information about their products for your Vending & OCS business, they are listed in alphabetical order by company name. Espresso Supply, Inc. – Supplies and Accessories for the specialty coffee industry. Forida Breakroom Supplies, King’s Cup has been proudly serving South Florida’s Broward and Palm Beach counties since 2007. Contact us or see website for more info on our coffee supplies & coffee products for your OCS business! 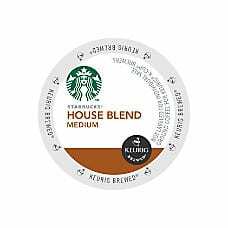 Holiday House Distributing has been supplying the office coffee service business since 1981! We specialize in coffee machine parts, as well as products for the coffee, vending and water industries. We are a wholesale only distributor for the OCS, vending and water industries. Lavazza Premium Coffees Corp – One Complete Solution for your Office Coffee Service Company. Lavazza Blue machines are extremely easy to use, virtually maintenance free and suitable for all spaces. High quality coffee in the workplace. Single servicing coffee excellence. Lavazza is one of the most important coffee roasters in the world, operating in over 90 countries, in the Home and Away-from- Home sectors (Foodservice, Vending and Coffee Shop Business) thanks especially to its know-how in authentic Italian espresso. S&D Coffee – Coffee and Tea Manufacturer, Roaster. Including: Specialty Gourmet Coffees, Hot drinks, Juices, Syrups, Toppers and Condiments. Visit www.sndcoffee.com to view all our coffee products! Based in Concord, NC. Starbucks VIA® Instant Refreshers™ and so much more! Visit www.Starbucks.com for all our coffee products. 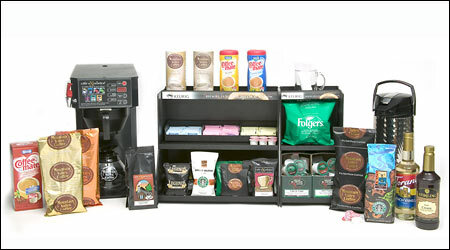 Vistar offers an extensive selection of national and regional brands to offer your customers the complete office coffee package. From national brands like Starbucks, Maxwell House and Folgers.